Prospective clients often ask us what we charge to build a custom home. The answer is simple. Since no two custom homes are exactly the same, there is no set formula for determining a price. In the areas where we typically build - Bethesda, Chevy Chase, Potomac and Northwest Washington, DC - a custom home could cost anywhere from $800,000 to millions of dollars. 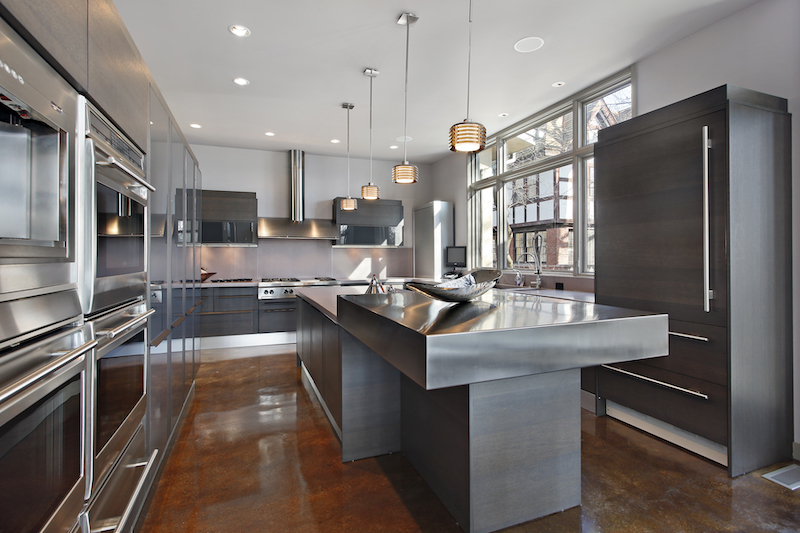 To better understand that vast range, let's delve deeper into some of the factors such as the cost of the lot, the size of the home and the materials that are chosen for finishes that will influence the final price of a custom home. It is important to understand the difference between a truly custom home and other new homes that may be available on the market. Here's a brief explanation of the different types of new home construction. A custom home is crafted from a personalized set of plans so that the finished product is one-of-a-kind. The location, style and features of the home are determined by a client's specifications and budget. Some custom homes are very large, but others are small to medium size. The goal of a custom homebuilder should be to create a home that truly fits each client's taste and lifestyle. Since designing and building a new custom home is a lengthy, involved and expensive process, there should be a true partnership between a client and homebuilder. Click here to read tips about choosing the right homebuilder for you. Do you already own a lot or will you need assistance in finding one? What are your goals for your custom home in terms of functionality and aesthetics? How many square-feet of living space and how many bedrooms and bathrooms will your family require? After the homebuilder understands what the client wants and can afford, the design phase of the project begins. A Design and Specifications Agreement should be prepared that details all items discussed in the initial meeting. The document is then signed, and a deposit is provided by the client. At this point, the client, homebuilder and architect begin the collaborative work of designing the custom home. All finishes, materials and appliances should be selected by the client with the assistance of the homebuilder, and possibly an interior designer, to ensure that the project will remain within the stated budget. For more about the selection process, see Step 4 below. When all selections are completed, the homebuilder presents the client with detailed plans, specifications, a timeline and an estimated price. Once everything is agreed upon and approved, the client and homebuilder enter in a Construction Agreement that includes final pricing. Then, the homebuilder obtains all required permits and the construction phase begins. To see an illustrated timeline of the process of creating a custom home, click here. Sometimes, a homebuilder will buy a lot, design a home and build it with the intention of selling it once it is completed. This practice is known as building a spec, or speculative, home. A spec home may sell during the course of construction, and in that case, the homebuyer may be able to customize some of the finishes but will not be able to change the floor plan or style of the home. 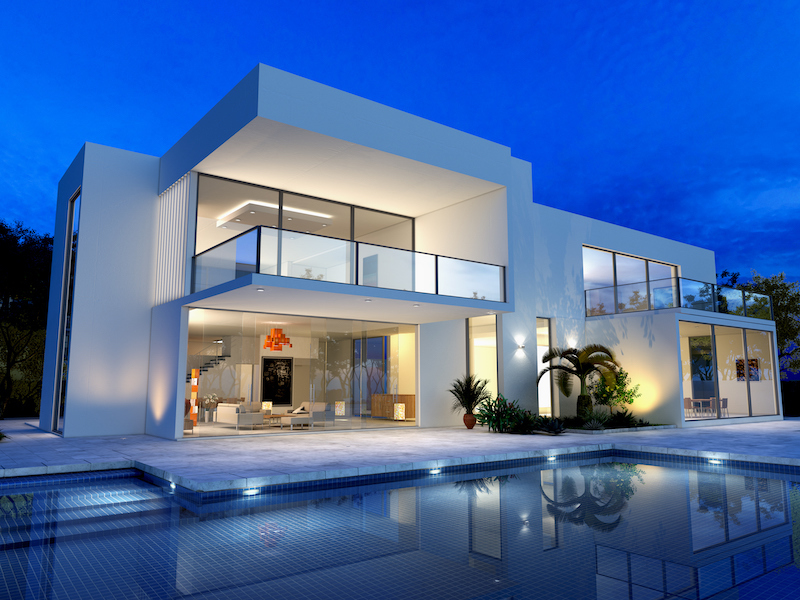 Spec homes are usually well located and built with amenities and upgrades to appeal to buyers in that specific market. One of the benefits of purchasing a spec home is that the buyer can have a new home without having to make a tremendous number of selections and decisions. Production, or tract, home building is very different than custom or spec home building. Typically, a production builder owns a large tract of land that is divided into similarly sized lots. All homes in the community are built in the same style with two or three variations of the same floor plan. This allows tract builders to sell their product at a pre-determined price to buyers up front. Sheer volume makes it possible for the tract builder to purchase materials and to hire labor at lower prices than is possible for custom or spec homebuilders. Finishes like cabinetry, appliances, hardware, paint and flooring are selected by the builder, but in some cases, buyers will have the opportunity to pay more to upgrade certain items. Typically, the homebuilder assists the client in identifying, evaluating and purchasing the lot on which the custom home will be built. As a general rule, your lot price will be about 30-40% of the total cost of your new custom home. 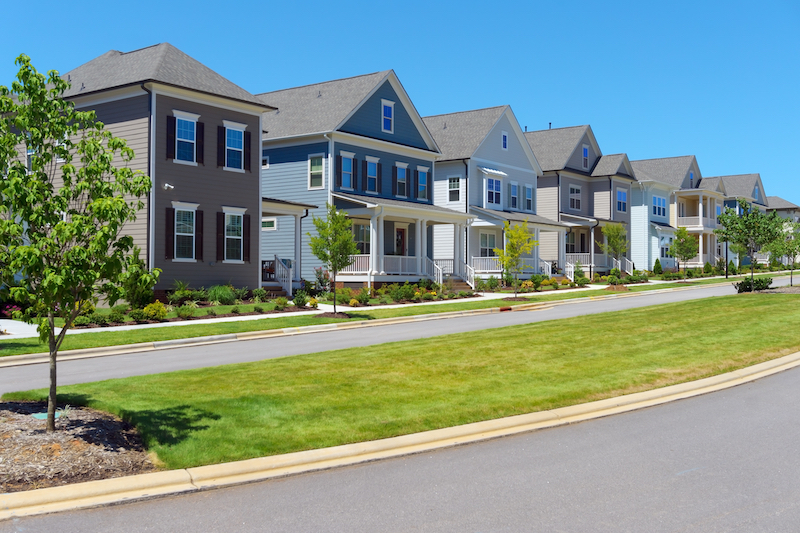 Since lot prices vary greatly from neighborhood to neighborhood, carefully consider how location will impact your budget and the overall cost of your new home. For instance, lot prices in Bethesda, Chevy Chase, Potomac and Northwest Washington, DC can range anywhere from $600,000 to millions of dollars. Our article 5 Tips For Choosing The Perfect Lot For Your New Custom Home offers valuable information about working with a homebuilding professional to make sure the lot you are thinking of purchasing will not only suit your budget and your needs, but also will allow you to build the size and type of home you want. 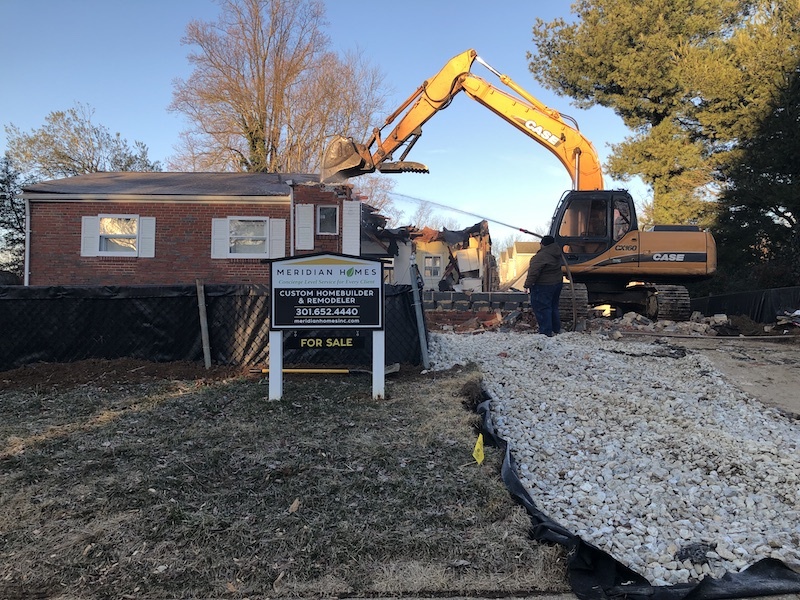 Since it is difficult to find empty lots in established neighborhoods that are close to Washington, DC, custom and spec homes are often built where older homes once stood. That way, homeowners can get the best of both worlds: a brand-new home without sacrificing a great location. This practice is called "residential infill building." To learn more, click here. The size of a custom home impacts everything from the cost of materials and labor, to the lot requirements, to the time that will be needed to complete the project. 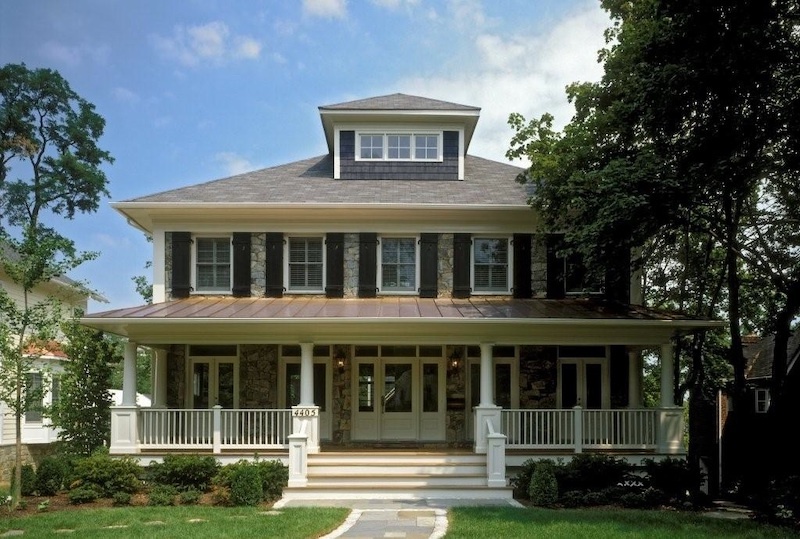 Custom homes can range in size from 2,500 to 20,000 square feet or more. When calculating the cost per-square-foot of a home, some homebuilders only take into account finished living space while others include areas such as garages, 2-story space, porches, patios, basements and attics. Ask your homebuilder to clarify how he or she determines the square footage in your new custom home so that you understand your true costs. The style of your new home also impacts the total cost. In general, materials used to construct an ultra-contemporary home can be much more expensive than those used to build a traditional home. For example, you may have your heart set on having an entire wall of glass with custom swiveling doors to the outside instead of a standard entryway. That decision could take a big chunk of your budget and force you to reduce costly specifications in other areas. A custom home client should always be an active participant throughout the design and construction process. The client will make all of the selections, from plumbing and lighting fixtures to tile to cabinetry to appliances and more, often with the assistance of the homebuilder or an interior designer. Until all of these selections are made, it is impossible for a homebuilder to determine exactly how much these variable costs will impact the final price of a custom home. Appliances run the gamut in terms of features and cost. There is a wide range of styles available for windows and doors, and some are far more expensive than others. Other finishes such as flooring, tile, cabinetry, plumbing fixtures, lighting and molding will all add to the bottom line cost of your project. Check to make sure that every selection you make works within your overall budget. Each municipality is different, so it's essential to understand that every custom home project will often require some kind of special permitting, and most likely, a special type of insurance policy. 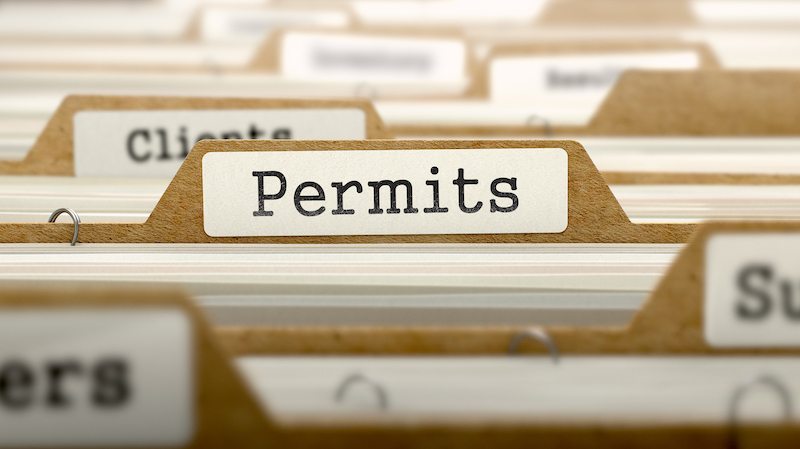 Your homebuilder and architect should know about all permitting requirements in your jurisdiction and should communicate them to you at the beginning of the construction phase. You will need to include estimates for these costs in your budget, and you should also factor in some extra time for your project in case the permitting process takes longer than expected. Discuss your budget openly with your homebuilder during the initial stages of planning for your custom home so that there are few surprises once design and construction begins. Identify areas where you can save money by making educated decisions early on in the process. Understand how making changes after your project is underway will affect your final costs, too. 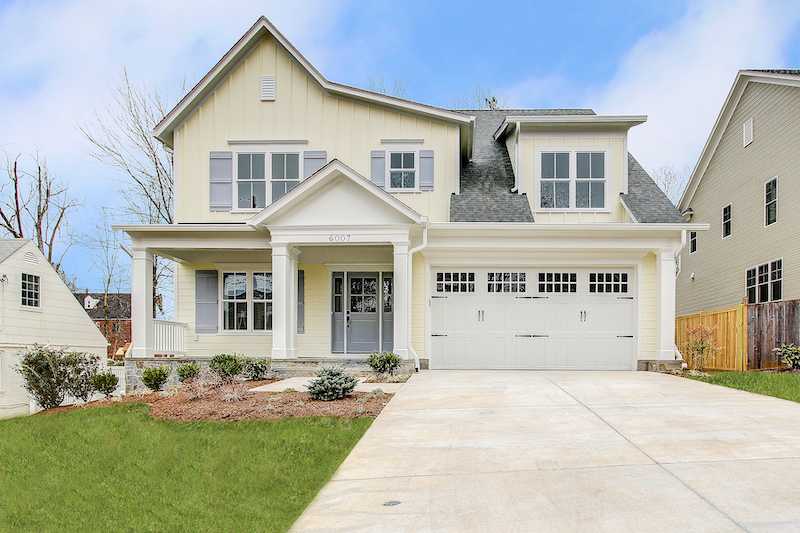 Finally, know that having a great working relationship and open communication with your homebuilding professional will make the overall experience of designing and building your custom home enjoyable and rewarding.